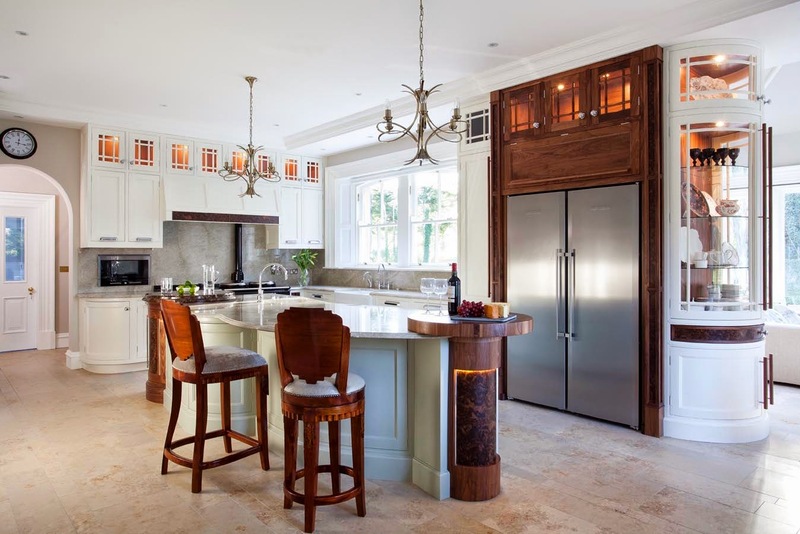 The lifestyle kitchen of today has become a much more streamlined environment with many designers now integrating the client’s lifestyle patterns into every design. The boundaries are blurred between each room and even here the consumables zone is designed to be more neutral and could pass for something found in a living space! This design is stylish with elements of artistic flair. The custom made worktop on the island creates the appearance of fabric, adding texture to this neutral design. The extraction system contradicts the linear nature of the concept offering a feature curve and a glimpse into the future, and the ovens are placed on the wall like two functional artworks! Kitchen design is about function but is also about self expression and creating a social backdrop to your life! The Mogul like this one!